If you’re not disciplined enough to create a workable budget and stick to it, can’t work out a repayment plan with your creditors, or can’t keep track of mounting bills, consider contacting a credit counseling organization. Many credit counseling organizations are nonprofit and work with you to solve your financial problems. But be aware that, just because an organization says it’s “nonprofit,” there’s no guarantee that its services are free, affordable, or even legitimate. In fact, some credit counseling organizations charge high fees, which may be hidden, or urge consumers to make “voluntary” contributions that can cause more debt. If your financial problems stem from too much debt or your inability to repay your debts, a credit counseling agency may recommend that you enroll in a debt management plan (DMP). A DMP alone is not credit counseling, and DMPs are not for everyone. You should sign up for one of these plans only after a certified credit counselor has spent time thoroughly reviewing your financial situation, and has offered you customized advice on managing your money. Even if a DMP is appropriate for you, a reputable credit counseling organization still can help you create a budget and teach you money management skills. 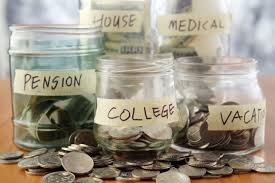 In a DMP, you deposit money each month with the credit counseling organization, which uses your deposits to pay your unsecured debts, like your credit card bills, student loans, and medical bills, according to a payment schedule the counselor develops with you and your creditors. Your creditors may agree to lower your interest rates or waive certain fees, but check with all your creditors to be sure they offer the concessions that a credit counseling organization describes to you. A successful DMP requires you to make regular, timely payments, and could take 48 months or more to complete. Ask the credit counselor to estimate how long it will take for you to complete the plan. You may have to agree not to apply for - or use - any additional credit while you’re participating in the plan. charge high up-front or monthly fees for enrolling in credit counseling or a DMP. pressure you to make “voluntary contributions”, - another name for fees. won’t send you free information about the services they provide without requiring you to provide personal financial information, such as credit card account numbers, and balances. try to enroll you in a DMP without spending time reviewing your financial situation. offer to enroll you in a DMP without teaching you budgeting and money management skills. demand that you make payments into a DMP before your creditors have accepted you into the program.